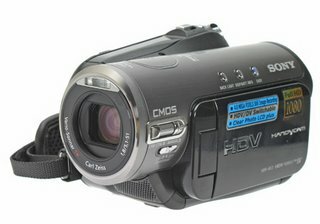 Trustedreviews has reviewed this camcorder from Sony, the HDR-HC3E - HD. Fareastgizmos has reported about a water resistant MP3 player from the Japenese company Digital Cowboy. 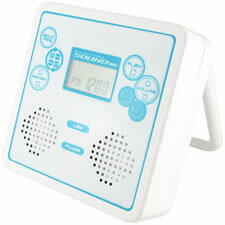 Digital cowboy Japan has launched a new water resistant JIS 4 (IPX4) class AM/FM radio with MP3 player- DC-SCDP1/256. With 256MB flash memory built in the player has a SD card slot also. With maximum 1GB support the player can play MP3/WMA files with 32~320kbps bit rate. 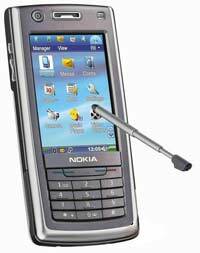 CoolTechZone has reviewed this mobile phone from Nokia, the 6708. The 6708 is Nokia's latest attempt at a touchscreen business smartphone. Even though the phone has been released exclusively for the Asian market, we got ourselves one to check out. Nokia recently hired a new lead designer. If he is the one who did the concept of this phone, they need to replace him. If there is someone else who decided its features, again, they need a new one. Why? We'll get to that in a bit.